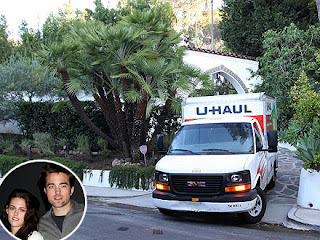 Robert Pattinson Asked Stewart to Move Out; Admittance of Break up? And early Saturday morning, a moving truck was spotted doing just that. News of Stewart's infidelity – she cheated on Pattinson with her Snow White and the Huntsman director Rupert Sanders, who is married with kids – first broke last week. The 22-year-old actress subsequently apologized to Pattinson for cheating, and sources told PEOPLE they hadn't spoken since until now. 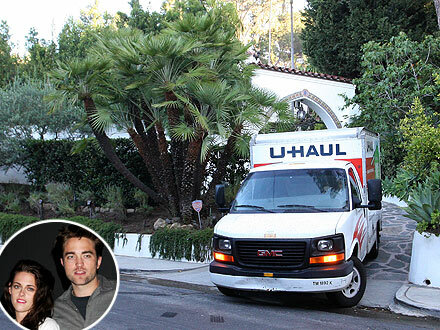 "The entire thing has been such a blow to Rob. Talk about having his heart ripped out," a source who knows the couple tells PEOPLE. "Rob just isn't going to be able to get past the cheating – one time or not." Nevertheless, the two are scheduled as co-presenters at MTV's Video Music Awards on Sept. 6.